Hello again, we are here in a timely fashion to give you three reviews! 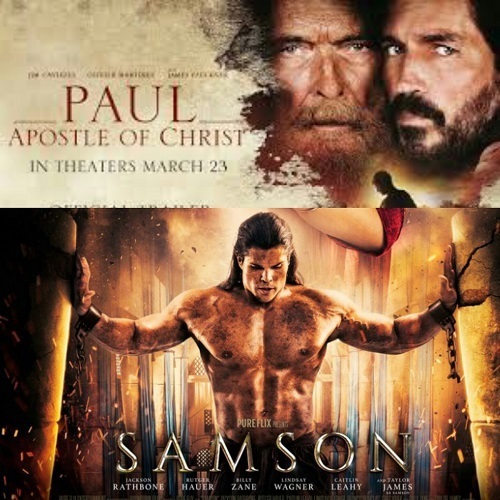 We bring you the Pureflix version of Samson, as well as Paul: Apostle of Christ. The cool thing about the last movie is that we got to see a rough cut sneak preview of the film in February, about a month and a half before it was realesed in theaters on Easter weekend. Then, in TV Corner, we talk about the live, Easter Sunday broadcast of NBC's Jesus Christ Superstar. Next episode, we will look at teh Netflix film Come Sunday and the recently cancelled "Lucifer" which is still available on Hulu. For all our American listeners, happy 4th of July. For all of our international listeners, we apologize.